Monsoon season brings an interesting paradox to many areas of South Asia. With months of constant rain, water seems to be everywhere, yet there is an acute lack of safe water. Some of the villagers said, "We cannot go to the same house each time to ask for water; even they need water. We used to keep changing the house. Some houses were very far, and each day we had to face possible rejection from those we chose to approach. Each day we feared that we may return with empty pots and no water for our families." Keep in mind that as human beings, we need about 13 to 26 gallons of water each day1. Research from the United Nations2 shows that people who live 1 kilometer (0.6 miles) from a water source often use less than 1.3 gallons a day—and 800 million people worldwide find themselves in that situation. 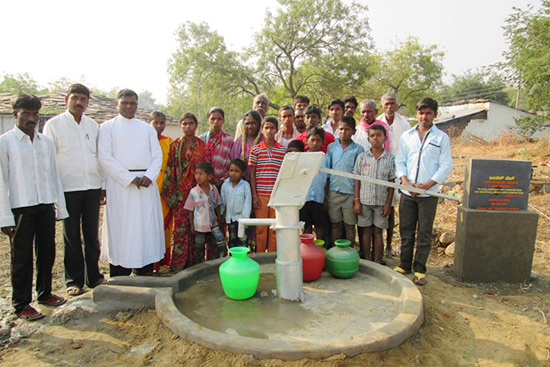 GFA-supported churches in the region were concerned about the people and their need for clean water, and in 2014 we were able to drill four Jesus Wells to provide safe, pure water for these villages. 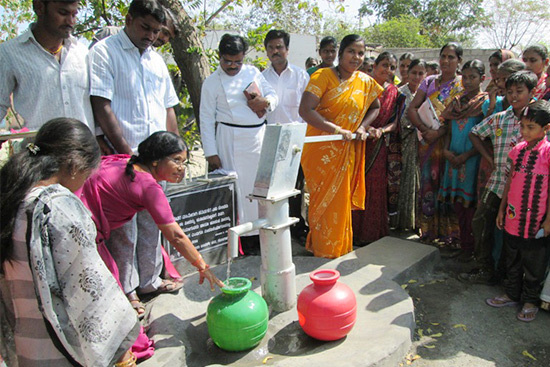 By God's grace, there are now approximately 5,300 people who benefit from these wells! "Jesus answered and said to her: 'Whoever drinks of this water will thirst again, but whoever drinks of the water that I shall give him will never thirst. But the water that I shall give him will become in him a fountain of water springing up into everlasting life.'" 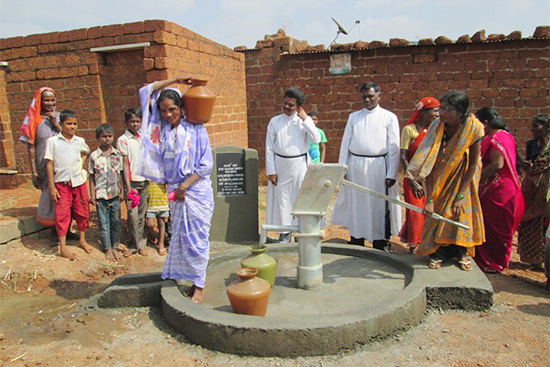 Just as these four Jesus Wells will provide communities with safe water for drinking, cooking and bathing for decades to come, the wells also stand as a constant witness of Jesus, the Living Water.